There are millions of questions one would want to ask Jaya Bhaduri-Bachchan, a name that brings to mind the image of a quintessential Bangali woman, clad in a sari, wearing her hair in a long plait and playing the role of a young wife in Abhiman (1973). It might also take one back to the days in the early 70s when the movie Guddi (1971) portrayed a young Jaya playing the role of a school girl infatuated with an actor played by Dharmendra. In person, however, this award-winning actor of Mumbai, India and also a politician is far from being the naive persona of many of her acting roles. The thousands of ideas waiting to burst out of her head and shared with those around her deceives the silent serenity and composure on her face in front of strangers. Once triggered, however, Jaya Bhaduri-Bachchan (born in Jabalpur, Madhya Pradesh, in April 9, 1948) is full of stories, ideas, theories and little quips about her family members, friends and the people she works with. 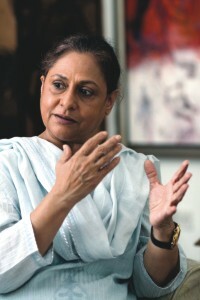 Jaya Bachchan was shooting for a film, Meherjaan, from October 23 to October 29, in Dhaka, a film based on the liberation war of 1971. Written and directed by Rubaiyat Hossain, a young woman filmmaker, it has an international amalgamation of cast and crew, including Victor Bannerjee, Omar Rahim, Humayan Faridi, Sharmili Ahmed, Neil Mukherjee (music) and many other well known names. 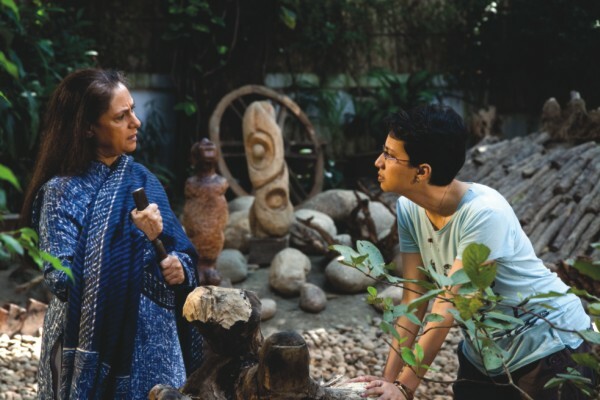 Jaya Bhaduri-Bachchan with Nasima Selim while shooting for Meherjaan. 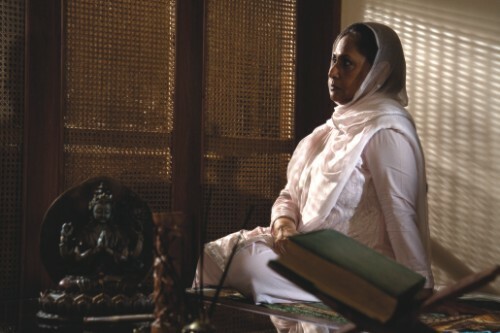 While shooting for Meherjaan, Jaya remembers the moments while a new nation called Bangladesh was being built. “I still remember. We were at a party at Ramesh Sippy's house, the gentleman who made Sholay. That's when we learned that Sheikh Mujibur Rahman was killed. Immediately we stopped the party. Everyone was very aware of what was happening in our neighbouring country and we supported the nation. While coming back home, I remember my husband was very disturbed and was going on about this untimely death and such a waste of life. We were shooting for Sholay in those days.” As she finishes off and gets ready to go back to her shooting, she adds. “My husband is not a very violent person, you know. I am the militant in the family!” she laughs. Talking to Jaya Bhaduri-Bachchan makes one believe, that keeping a positive attitude in life, giving priority to honesty and hard work and of course having fun while working, takes one a long way ahead. Maybe, these attributes helped in the making of this living legend.